Forest Field still rules the rock chart! 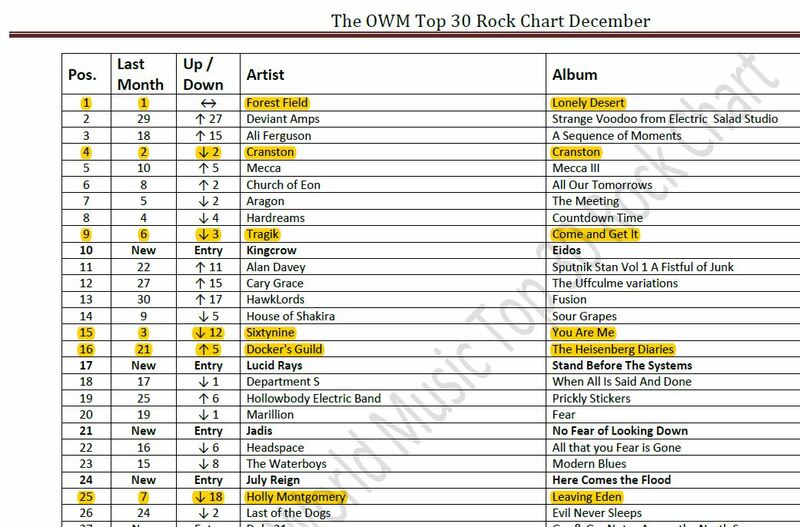 We are truly honoured to announce that Forest Field managed to top the One World Music Rock December Top 30 Rock chart for the second time in a row. Unbelievably cool and rewarding! And besides that we still have CranstoN at # 4, Tragik at 10, Sixtynine at 15, Docker’s Guild at 16 and distribution artist Holly Montgomery at 25. So a heartfelt thanks to all listeners and the team at OMWR!